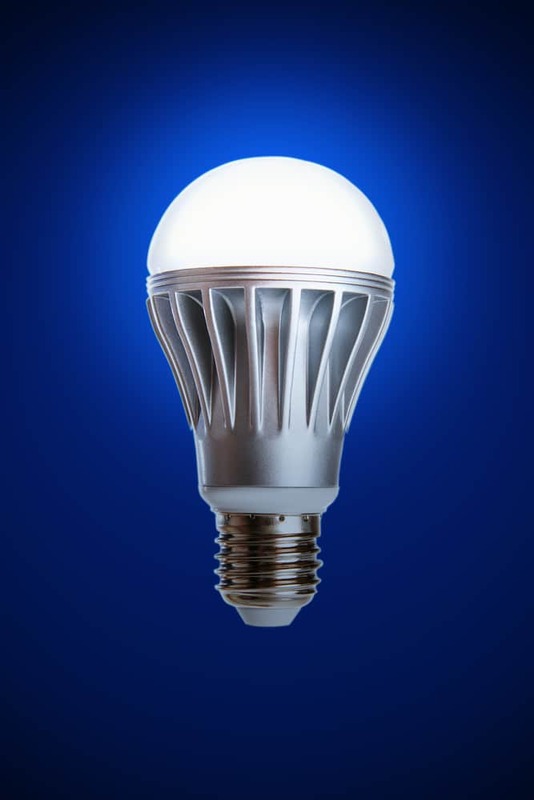 As compared to traditional lighting, light emitting diodes (LEDs) have been getting a lot of publicity for the benefits and advantages as far as energy efficiency goes. LED lighting is by far smartest solution as well as the most power saving compared to other illumination methods available in the industry. The LED revolution is a similar technology step up as going from analog to digital. This is why we at 1lightbulbs.com are passionate about LEDs and offer a vast selection to fit your needs. Below are seven of the benefits of joining the LED movement. LEDs are ideal for signal lights, traffic lights, and other infrastructures projects due to their ability to brighten up immediately when powered on. Plus, the LEDs light emission and lifetime remain unaffected no matter how frequently you switch them on and off. Frequent off and on switching drastically reduces the lifespan of traditional lighting, which also take a few moments to brighten. Under low outdoor temperature settings, LED are the perfect solution. Low temperatures may present a challenge and affect operation for fluorescent lamps. But, LEDs illuminate just fine in freezer rooms, winter settings, and other cold settings. The same as true for extreme heats. Close to no UV emissions and very little infrared light are produced by LED lights. Because of the little radiated heat emission, LEDs are highly suitable for materials and goods that are sensitive to heat. Also, it can serve as illumination in areas where UV sensitive objects are housed, such as an art gallery, archeological site, or museum. When compared to conventional light bulbs or traditional lighting, LEDs have an estimated energy efficiency of about 85 percent, making them the most efficient way of lighting and illumination. This means only about fifteen percent of the energy used to light an LED is wasted, while 85 percent goes toward producing light. With incandescent light bulbs, about 80 percent of the energy is wasted, usually in the form of heat. For LED lighting, you only need a very low voltage source. This is a big advantage when you need lighting in rural and remote area. This also means that you can use LED lights fairly easily in outdoor settings by hooking up a solar energy source. LEDs can achieve a higher application efficiency than conventional lighting, since they can be directed to a specific location and are engineered to focus their light without the use of reflectors. Light can be delivered very efficiently to a desired locations with the best designed LED lighting systems. To produce highly efficient lighting, LEDs can be put together in any shape. Dimming of individual LEDs is possible to create a dynamic control of color, distribution, and light. The best LEDs can produce astounding illumination effects for the mood, the mind, as well as the eyes. Many different locations, such as classrooms and airplanes, are already using LED mood lighting. As you can see, LED lights are some of the most cutting edge green building elements. Ready to get on board with the revolution? Stop by 1lightbulbs.com to find out what LED solutions they have for your needs.